TECHART sharpens the character of the current Porsch 911 model generation with a versatile range of personalization options. These include TECHART aerodynamic bodykits fort he 911 Carrera, Targa and Turbo models as well as performance options and engine enhancement with up to 720 horsepower power increases, TECHART wheels and a manifold repertoire of TECHART interior refinement. 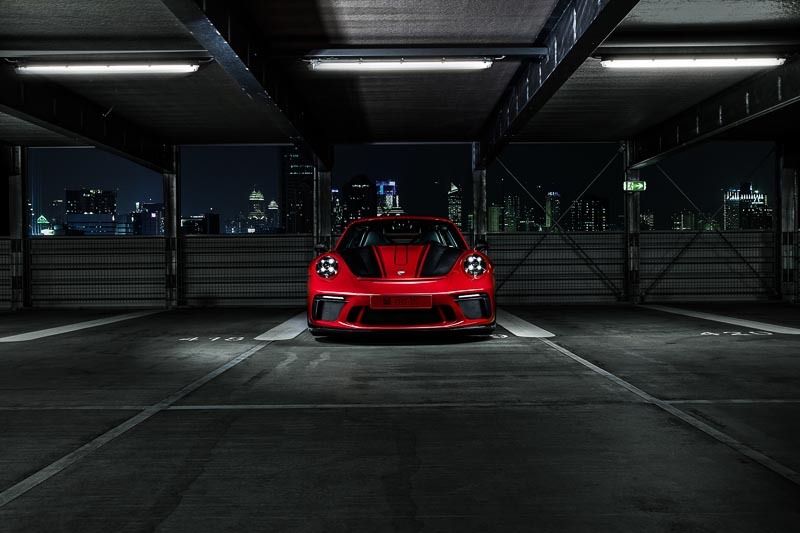 At the Essen Motor Show, TECHART presents a new Carbon Fiber Sport Package for the 911 GT3. Sport, down to the smallest fiber. The TECHART Carbon Sport Packages. Genuine TECHART carbon fiber parts embody the freedom of personalization which is characteristic for the TECHART brand. Made in TECHART’s inhouse manufactory, genuine TECHART carbon fiber parts in matt or high-gloss finishes embody the freedom of personalization which is characteristic for the TECHART brand. Available for both, TECHART components such as air intakes or wing profiles as well as OE parts, e.g. the Porsche SportDesign mirrors. World premiere: TECHART Carbon Fiber Sport Package for the 911 GT3. Specially designed fort he 911 GT3, TECHART offers a new Carbon Sport Package, consisting of elements replacing the standard body part and carbon trims which upgrade the existing original part. The Carbon Sport Package is available in matt and high gloss finish and includes a lightweight front lid with integrated air outlet, a front spoiler and airblades, aerodynamic winglets, side skirts, a rear wing profile, ram-air scoops as well as a rear diffusor. TECHART titanium/carbon sport tailpipes complete the Sport Package.